Pretty exciting news, you guys! As you all probably know, Canada just had Victoria Day weekend and now the US have their upcoming Memorial Day weekend…so basically it’s the unofficial start of the summer season! A big yay to that! 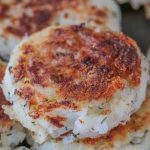 In celebration of this, I’ve teamed up with fellow food bloggers to bring you guys 50 recipe ideas for all those delicious Summer bbqs and get-togethers you’re gonna have! All of the recipe links for our Great Blogger BBQ round-up is below; you should check them all out ’cause they are completely delicious and you’re gonna wanna taste each and every dish! Though Newfoundland blueberries are not in season just yet, they are simply the best (but I’m a little biased, of course) and I would have used them if they were. So for this recipe I used regular ol’ store bought, which is completely fine. Newfoundland has the sweetest, juiciest berries around. Growing up, there was a field alongside my home and they were so plentiful. You could just go out and grab them by the handful. How cool is that? Visit Cape Spear and take in the gorgeous scenery. There’s a little lighthouse there and did you know that Cape Spear is the most Easterly part of North America? Hike Signal Hill – this is a landmark in Newfoundland’s capital city, St. John’s, and overlooks the city. And, get this, Signal Hill was where the first transatlantic wireless transmission was received by Guglielmo Marconi! Did you also know that St. John’s is the oldest city in North America? Visit Ferryland for a picnic. There’s beautiful scenery of sloping hills and ocean. You get a blanket and get to choose from a scratch-made picnic, consisting of lemonade, dessert, salad and sandwich (or, of course, pack your own). Hubby and I have visited a couple of times and it’s so good!! Berry picking! Wild berries as far as the eye can see, or as far as you are willing to walk, lol. 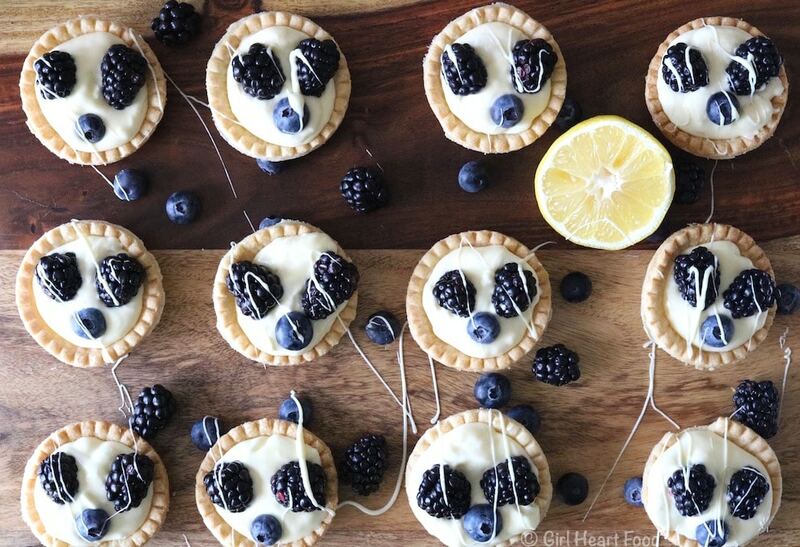 Then, go ahead and make these Lemon Cream Tarts with Berries 😉 Talk about fresh! George Street – a small street in downtown St. John’s that has so many bars and pubs. A definite must visit with so much character and lots of fun! Get ‘Screeched in’ – First Time visitors can go to a pub and kiss a cod, followed by some Newfoundland Screech (aka rum). How fun is that, lol? Go to the Duke and have fish-n-chips with dressing-n-gravy. Dressing, for those of you who are unfamiliar, is similar to stuffing, but it’s made with savoury (and lots of butter, typically). Go whale watching in Bay Bulls. Take a boat tour and see some whales! Visit a couple of local breweries. Quidi Vidi Brewery – a Newfoundland based brewing company and you can take tours and sample their beers. Woo hoo! Another great one is Yellow Belly Brewery . This place has a lovely pub, brews their own beer, and has various levels within the restaurant, including the ‘Underbelly’, which they consider a ‘speakeasy’ serving a variety of whiskey, port and the like. Downtown St. John’s in Newfoundland has a wicked food scene. So many great restaurants. Raymond’s , for example, won ‘Best New Restaurant’ a few years back. Another restaurant which is a lot more chill is The Adelaide Oyster House. You will find some of the best tapas around. The cod tacos are out of this world. I can’t even. So good. After making the lemon curd, let it cool in the refrigerator completely before gently adding to the whipped cream. These Lemon Cream Tarts are such an easy to make Summertime treat! Pre-made pastry shells used in this recipe is quite the time saver! The Lemon Cream filling is a perfect combination of sweet and tart and combines homemade lemon curd and freshly whipped cream. Plus, there's little bursts of berries in each bite. Sure to be a recipe you'll make again and again! In a heavy bottomed pot on stovetop on low heat melt butter. Stir in salt and sugar. Remove from heat and stir in lemon juice, zest, and egg yolks. Place mixture back on heat, whisk and cook until mixture coats back of spoon, about 5-8 minutes. Don't boil. Strain through fine mesh sieve to remove any egg solids. Place in a container. LET COOL COMPLETELY in refrigerator for a few hours before folding into cream. Curd will thicken further as it cools. Bake pastry shells per package instructions and then let cool. Lay to one side. In a stand mixer, add cream and sugar. Whisk on medium high for about 2-3 minutes or until you have stiff peaks. Slowly add curd to whipped cream. GENTLY fold in. Equally distribute lemon cream among tarts, top with a few berries and drizzle with melted white chocolate or sprinkle with chocolate shavings. Enjoy! Best to make the lemon curd the day before making this recipe so things will move faster. To melt white chocolate, place in a microwave safe bowl and heat for about 1-2 minutes, stirring after 1 minute until chocolate is melted. Don't overheat. Or you can just sprinkle chocolate shavings over top. Your choice...both is delicious. Dawn! This is amazing. First of all, I don’t know much about Newfoundland and am happy to know just how much there is to do there! I’ve never been berry picking and would LOVE to try it out. Thank-you so much, Maddy!! There’s certainly lots to do and see here 🙂 You can spend so much time berry picking and not even realize how much time has gone by. Very relaxing and lots of exercise too 😉 Especially good if it’s followed by baking, lol. Though, it’s also nice to eat the berries just as they are. The lemon cheesecake squares with blueberries sound delicious…something I would love for sure! I’m so happy you like the recipe and excited to know that you’re gonna try it out! And, yes, I would love to hear how it works out for you!! Thanks so much for the lovely comment and have a great week! Oh, good to hear!! Have a great week, Sarah! Once you make your own, you’ll never buy premade again 🙂 So easy and so good! Thanks so much! Oh no! Is it going to your junk box?